MAUBEUGE, France (Reuters) - President Emmanuel Macron said on Thursday he had always condemned Marshal Philippe Petain, who collaborated with Nazi Germany in sending thousands of Jews to their death, but reiterated praise for his World War One military record. Macron angered Jewish groups and some political opponents on Wednesday by saying it was "legitimate" to honour Petain alongside France's other seven wartime marshals at commemorations to mark the end of the Great War this week. 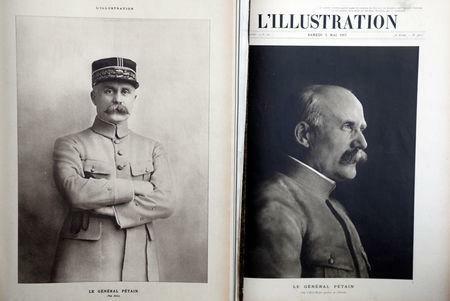 Petain was feted as a war hero after taking command of the French armies in mid-1917, following his victory at Verdun, a battle that killed more than 300,000 French and Germans. But his reputation was shredded when he established the collaborationist Vichy government of unoccupied France that deported more than 70,000 Jews to Nazi death camps. As criticism mounted on Wednesday, Macron's aides said that only the five marshals buried at the Invalides monument in Paris would receive an official tribute. On Thursday, the president said there had never been plans to honour Petain personally. "We are celebrating the centenary of a nation's conflict ... and it is normal that our army remembers its soldiers, and in particular its marshals," Macron told reporters in Maubeuge, near the Franco-Belgian border. 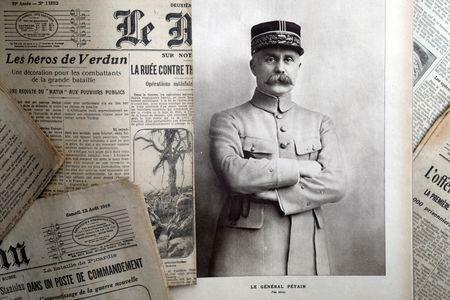 "I strongly condemned the Petain of 1940 and did so without ambiguity. I also said yesterday that Marshal Petain was one of the great soldiers of 1914-18, and you cannot scratch that from history." Francois Hollande, Macron's predecessor as president, said: "History does not isolate a single period, even a military career bestowed with glory." The body that represents France's 400,000-strong Jewish community, Crif, called the idea of paying tribute to Petain "shocking". Jean-Luc Melenchon, head of the leftist France Insoumise (France Unbowed) party, called Petain "a traitor and an anti-Semite" whose "crimes and his betrayal cannot be erased from history." After World War Two, Petain was sentenced to death for treason, though then-President General Charles de Gaulle, a longtime admirer of Petain's military feats, reduced the punishment to life in prison, where he died aged 95 in 1951. 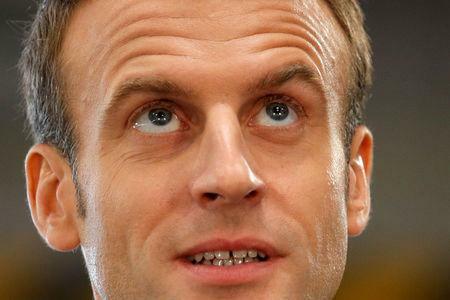 Macron is spending the week visiting battlefields in northern and eastern France to honour the dead of the Great War, when 1.4 million French soldiers perished, an opportunity for a leader criticised as out of touch to reconnect with citizens.